Seeing without eye glasses, even when over the age of 60? Yes, it is possible! Have you ever thought why, after the age of 40, people start needing glasses for reading? Have you wondered why, after their 60s, people need to change the prescription of their eye glasses every 6 to12 months? Is there something about the eyes that keep changing? And the most common question: Is it possible for me to see without glasses even after my 60s? Let’s answer these questions now! I think you may already realized that, although everyone’s’ organs are pretty much the same, the time it takes for them to age and wear out may be quite different between people. This is the reason people take vitamins, supplements and antioxidants to delay aging, right? There is one organ inside our eye for which the effects of aging become very apparent. It is called the lens. The lens and how it changes. A lens inside our eye? Yes. Our eyes function like a camera. Every camera needs a lens, which focuses light to obtain an image (look at your smart phone’s camera; it also has a lens inside). Our eye functions exactly like a camera; there is also a lens inside. There are two important age-related stages in the lifetime of our lenses. The first one will happen around the age of 40. At this stage, our lenses start losing flexibility and become more rigid; our eyes lose autos ability as a result. Most people will notice that it is more difficult to read books or perform close-up tasks. They may compensate for this by holding reading materials further away but, in the end, they will end up with bifocals or reading glasses. This condition is called “presbyopia”. Another important change starts when we reach our 60s. This time our lens will start to become cloudier over time. We say that the lens becomes “degraded”. This cloudiness may not affect your vision in the beginning, but it will progress slowly, usually over many years, and the cloudiness will become more and more. This clouding of the lens is called a “cataract” (German: grauer Star, French: cataracte). At this point, I think you already know that cataracts are not the membranes that cover your vision. Cataracts happen because of changes in the protein composition in our lens. When the composition of the lens itself changes, the focusing power of the eye changes as well. That’s why, after the age of 60, people seem to need to change prescription more often. Changing glasses may help you to compensate for cataract-caused decreased vision in the early stages, but not after the cataract becomes more advanced. There is no provable way to prevent cataracts because they are simply a part of the human aging process. To date, there is also no evidence that eye drops or supplements can delay cataracts. The only way to cure cataracts is by “lens replacement surgery”. Surgery? Yes. The principle of lens replacement surgery is quite simple. The surgeon will remove the cataract (the degraded natural lens) and replace it with an artificial lens. The artificial lens is very clear, very durable, and has a better focusing power; that’s why the vision is much improved. Some patients have even said that their vision after lens replacement is the best they have ever had in their life. Technology is always changing and evolving. If you ask me, I can say that lens replacement surgery has changed a lot over the last 6 to 7 years. There are various types of artificial lenses available nowadays. How your vision will be after the operation will depend on which kind of artificial lens you choose as a replacement for your natural lens. I will now introduce the two major types of artificial lens: monodical lenses and multifocal lenses. Monofocal lenses are the most basic type of artificial lens, and have been available for 20 years. This lens has only 1 focusing point, usually for long distance vision. After the operation to implant the monofocal lens, it is most likely that patient will see at long distance very well, but need glasses for close-up vision (such as reading a newspaper, cooking, reading a menu, or when you go shopping and need to read price tags). Another type of artificial lens is called the multifocal lens. This type of the lens is developed with the new generation of technology and tries to overcome presbyopia as well as provide treatment for cataracts. The multifocal lens provides two focal points, one for far vision, and another for near vision. Its design is entirely difference from bifocals or progressive eye glasses. You don’t need to look in the lower portion for reading; instead, the multifocal artificial lens will let you see both near and far at all times. Your brain will adapt and pick up the picture that you want to see automatically. It work like a cell phone camera that has an auto focusing ability. Amazing, don’t you agree? In short, the multifocal lens is very effective solution for both cataracts and presbyopia. At this point, you may wonder f you can eliminate cataracts and not need glasses again for the rest of your life by using the multifocal lens implant? It is highly possible (based on scientific data, much clinical research, and the increasing popularity of multifocal lenses among eye surgeons), but there are many factors that must be considered, such as your eye’s individual anatomy, your ability to adapt and your lifestyle. More importantly, it must be remembered that there is no such technology that can provide you super vision; unfortunately, this is as yet only available in science fiction. However, in general, for patients to perform 85 to 95% of their daily activities without the need of glasses after lens replacement surgery with multifocal IOLs is very possible. How can I know if I have cataracts and when should I have surgery? They are many symptoms, such as increased light sensitivity, difficult vision at night, or fading or yellowing of colors, which may point to cataracts, but it usually very difficult for you to self-diagnose because of the subtlety of the changes. In the end, most patients are diagnosed for cataracts when they see an eye specialist. When should you consider surgery if you have cataracts? The answer to this question may be different from what you heard 6 or7 years ago. At that time, surgery was only recommended when the cataracts reached an advanced stage and significantly reduced the patient’s vision, because of the risk involved due to the limitation of technology at that time. Nowadays, because technology has evolved and changed a lot, the risk of surgery has become very minimal. The predictability of the visual outcome is very high. These days, an eye specialist may recommend lens replacement surgery if they see that the potential improvement of your vision outweighs the risk of the surgery (infection, inflammation, bleeding and so on). It is not uncommon for patients with only mild cataracts to decide to have surgery in order to achieve a higher visual outcome, such as reduce the need to use spectacles and eliminate cataracts at the same time. Because the operation is not urgent, you can discuss with your eye specialist about your possible outcome, benefits and risks before you decide to proceed with the surgery. Keep in mind that it is not wise to wait until cataracts reach an advanced stage, because it only increases the risk of the operation, and may reduce the quality of the visual outcome that may have been possible (and put unnecessary stress on your surgeon, too). What is the difference between RLE and Lasik? The goal of both RLE and Lasik is to correct vision but in reality there are many difference between these 2 procedures included the main outcome of surgery. 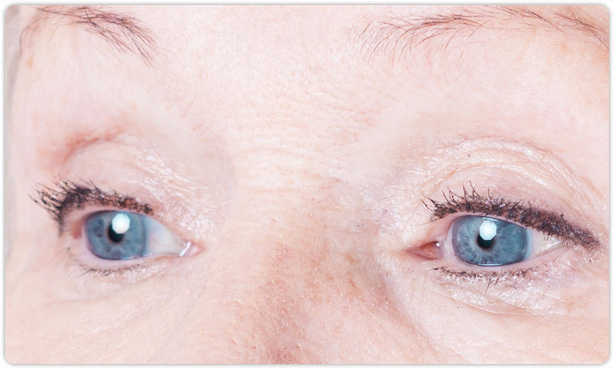 RLE procedure has years of successful history and the cornea is relatively untouched. If you have a thin cornea, dry eyes (more prevalent in patients over 50), or other minor cornea problems, RLE may be a better alternative. RLE may be the only option for people with high refractive error. Lasik provide correction of only one fixed-focus vision (e.g. patient needs to choose between farsightedness or reading) but refractive lens exchange (RLE) addresses both vision correction and presbyopia (or lack of reading ability) at the same time. Therefore, RLE will be a better choice for patients with ages over 45 years and who already has reading/near vision problems. Patients who already had refractive lens exchange will not need to worry about developing of cataract later in life but patient who receive Lasik still need lens surgery if cataract developed later (especially patients who age approach 60 years). Visions after RLE tend to stable throughout your life but vision after Lasik (especially in middle age patients) was most likely to change after 5-6 years. You need a lens surgeon, not a LASIK surgeon. It is important to note that RLE is not performed by refractive surgeons who only specialize in Laser vision correction (LASIK or PRK). RLE is very different from these procedures and therefore a doctor who only does LASIK may not even mention this alternative to you. At Bangkok Hospital Phuket, our doctor team has extensive lens surgery experience and use the newest multifocal IOLs available for restore patient near-to-far vision. People who are over 60 may have the beginnings of cataracts which will eventually cloud their vision. Cataracts tend to get worse over time, eventually requiring cataract surgery. If you have early cataracts, you are better off having a refractive lens exchange now rather than LASIK. An artificial lens can provide significantly better vision for you (especially if you are currently using glasses or contact lenses) and because your natural lens has been removed, there is no chance of developing a cataract in the future. Refractive Lens Exchange uses the same technique used in cataract surgery. This technique has been used for decades and is the best method for cataract removal and lens insertion. During the surgical procedure the patient is first prepped using a local anesthetic and drops. After the eye has been sterilized the surgeon will make a 2.5 to 3 millimeter incision in the eye. In order to see inside the eye our doctors perform this delicate surgery with a powerful magnifying microscope. A device known as the emulsifier is inserted to the eye and begins to remove the natural lens. Once all of the lens material has been evacuated a foldable intraocular lens is inserted in the same place as the old lens. Overall procedure will take approximately 40-60 mins. But you will spend about 3-4 hrs. at hospital. RLE is performed on an outpatient basis but patient can choose to stay in hospital for more comfortable. Only one eye is treated at first day and the second eye will treat on next day. After the surgery had been completed, you will be required to go home and rest for the remainder of the day. Most patients report rapid visual improvement immediately after surgery.